Government agencies and courts can no longer give precedence to one kind of public interest (that of middle and upper classes) over another kind of public interest (that of the slum residents). On March 18, the Delhi High Court held that slum dwellers are not secondary citizens but citizens with equal rights. Authorities can evict slum dwellers only when their occupation of the land is illegal. Any unannounced eviction without a resettlement and rehabilitation plan is also not permitted. The judgment by a division bench comprising of Justices S Muralidhar and Vibhu Bakru stated that, when approached by persons complaining of forced eviction, courts would now be required to view them not as “encroachers” but as citizens whose rights to rehabilitation have to be determined in terms of law. Slum dwellers have often been characterised as encroachers by government agencies, mainstream media, and even courts. In popular understanding too, urban slums and their residents have been seen as the antithesis to what is planned and what is legal — a blot on a city’s beauty. Against this popular view, a number of scholars and activists have argued that slum dwellers are not encroachers but citizens with equal rights who should, at the very least, have access to the same rights guaranteed to the rest of us. Political support for the rights of slum dwellers to receive adequate notice before eviction has been infrequent as it has been for their adequate rehabilitation. The occasional political claim, despite having a sociological basis, has not had sound legal grounding in spite of some well-intentioned decisions by the higher judiciary where the Court has not gone far enough to protect substantive rights of slum dwellers. For instance, in Olga Tellis v. Bombay Municipal Corporation, the Supreme Court held that the right to life includes the right to livelihood but did not indicate specific reliefs. In Sudama Singh v. Gov. of Delhi, the Delhi High Court laid down safeguards and procedures to be followed by government agencies before proceeding to remove jhuggis/slums, but confusion remained as to whether central agencies would be bound to follow the same procedures or not. However, the judgment in this case, achieves two things. First, it mandates equal rights — and access to the principles of natural justice — for slum dwellers who face illegal eviction. The verdict identifies them as citizens — not encroachers — whose rights (to rehabilitation or to prior notice) have to be determined as per the law of the land. Second, it grounds these claims not just in reason but in sound legal doctrine. The court discusses international law that India is bound by and backs it up with domestic legislation on the subject. The judgment also discusses principles of natural justice and constitutional provisions that make it obligatory for government agencies to ensure that there are no arbitrary and illegal evictions. And in case slum dwellers are found to be occupying land not owned by them, any forced unannounced eviction of slum dwellers is not permitted. Government agencies and courts can no longer give precedence to one kind of public interest (that of middle and upper classes) over another kind of public interest (that of the slum residents). For the remaining residents of Delhi, as the Court points out, it is important to recognise that the Constitution does not discriminate between citizens — and slum dwellers are not to be treated as “secondary citizens”. The Constitution envisages cities as a “commons good” to which everyone has a right. This view acknowledges that those living in slums contribute to a city’s social and economic life. 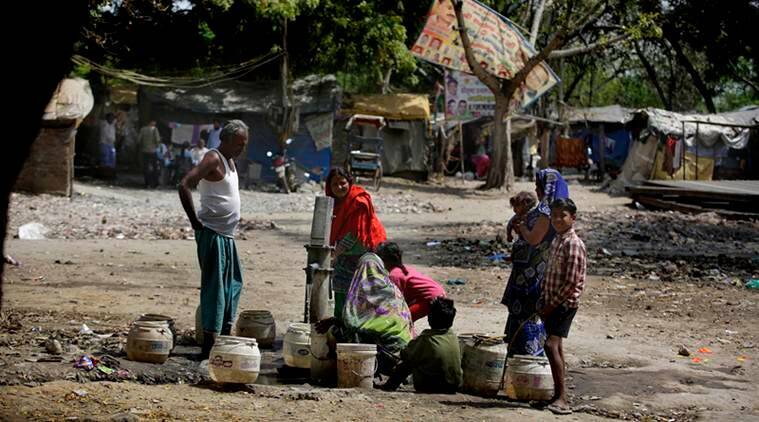 As the judgment notes, in the context of Delhi, such people would include sanitation workers, garbage collectors, domestic help and others who provide a wide range of indispensable services to healthy urban life. Prioritising the housing needs of this section of the public is not only a moral imperative but now also a legal one. This article first appeared in the print edition on March 29, 2019 under the title ‘Their right to the city’. The writer is a lawyer and senior associate-legal, Indian Institute for Human Settlements.